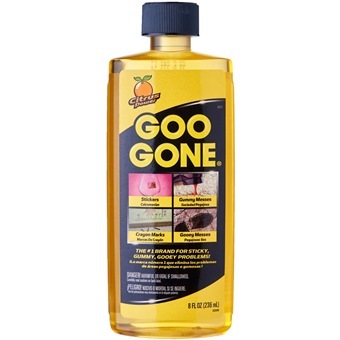 GOO GONE FOR STICKY MESSES & STAIN REMOVAL 8FL.OZ(236ML) is rated 5.0 out of 5 by 1. America’s #1 Brand for Sticky, Gummy, Greasy, Gooey Problems! Goo Gone's citrus power and scientific technology combine to defeat the toughest stains. Goo Gone can be used on hard surfaces, carpeting, upholstery, clothing, and more.